A strong earthquake with a preliminary magnitude of 6.5 has struck the South Atlantic Ocean near the South Sandwich Islands, seismologists say, just days after the region was struck by a similar earthquake. There is no threat of a tsunami. The earthquake happened at 3:54 p.m. on Tuesday and was centered about 56 kilometers (35 miles) southeast of Montagu Island, which is part of a British overseas territory that is known as South Georgia and the South Sandwich Islands. 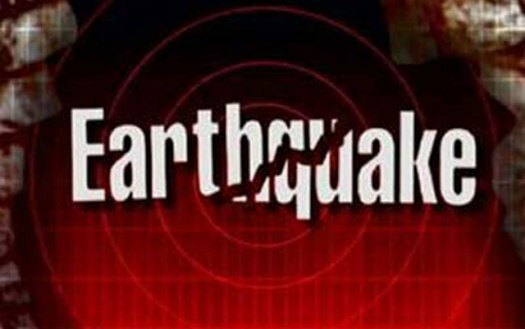 The earthquake was initially measured at 6.7, but the magnitude was later downgraded to 6.5, according to the U.S. Geological Survey (USGS). It said the earthquake struck about 47 kilometers (29 miles) below the seabed, making it a shallow earthquake. “Based on all available data, there is no tsunami threat from this earthquake. No action is required,” the Pacific Tsunami Warning Center said in a bulletin. Injuries are unlikely because the British overseas territory is uninhabited, although a few dozen staff members stay year-round at scientific bases on Bird Island and South Georgia Island. There are no reports of damage. Tuesday’s earthquake comes less than a week after a similar earthquake struck the same region. On Friday afternoon, an earthquake measuring 6.5 struck near Zavodovski Island, which is also part of the South Sandwich Islands. Yellowstone National Park has a new thermal area that scientists think has been growing for the past 20 years. 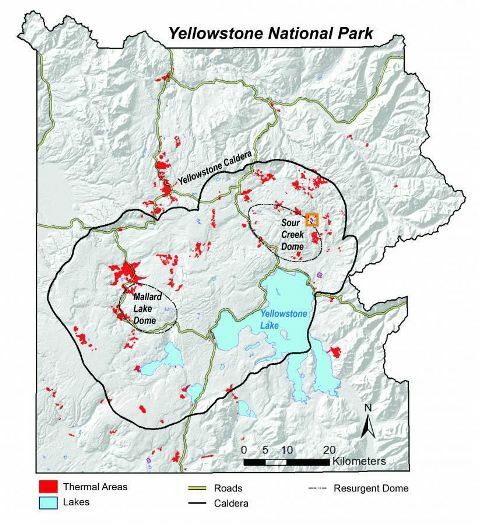 The new area is deep in Yellowstone’s backcountry between West Tern Lake and the previously mapped Tern Lake thermal area, the U.S. Geological Survey announced earlier this month. Yellowstone has about 10,000 thermal areas concentrated into about 120 distinct areas. The new thermal area, about half a mile from the nearest trail, and about 11 miles from the nearest trailhead, was first noticed in an infrared satellite image acquired in April 2017. The area showed up as a bright spot between the Tern Lake thermal area and the western edge of West Tern Lake. High-resolution aerial images later confirmed a large area of dead trees and bright soil, USGS said, the type of scene expected over a thermal area. Historical images showed the area began forming in the late 1990s or early 2000s. Those images also showed that the Tern Lake Thermal Area had grown on its northern side. A recent example was the eruption of the Ear Spring thermal spring for the first time in 60 years. The eruption this past September sent water and steam 20 to 30 feet in the air. Several other thermal features formed at the same time. Any geological changes at Yellowstone tend to make headlines because the park sits atop an underground supervolcano that is 44 miles across and last erupted more than 630,000 years ago. However, scientists with the Yellowstone Volcano Observatory say there is nothing to worry about. 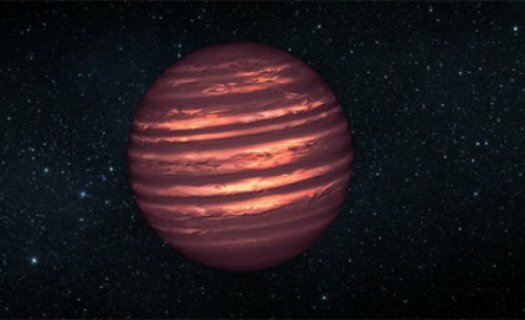 Brown dwarfs fill the “gap” between stars and the much smaller planets — two very different types of astronomical objects. But how they originate has yet to be fully explained. Astronomers from Heidelberg University may now be able to answer that question. They discovered that the star ν Ophiuchi in the Milky Way is being orbited by two brown dwarfs, which in all probability formed along with the star from a gas and dust disk, just as planets do. 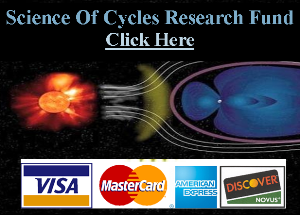 The research results were published in Astronomy & Astrophysics. Brown dwarfs orbit either one star or travel in isolation in the vast expanse of the Milky Way. Their mass — they are at least 13 times heavier than the planet Jupiter — is sufficient to generate, at least temporarily, energy in their core through nuclear fusion. They are not sufficiently massive, however, to ignite hydrogen in their cores and hence to create their own light. The heat they continue to radiate after formation is how astronomers are able to locate them. It is estimated that up to 100 billion brown dwarfs make their home in the Milky Way. 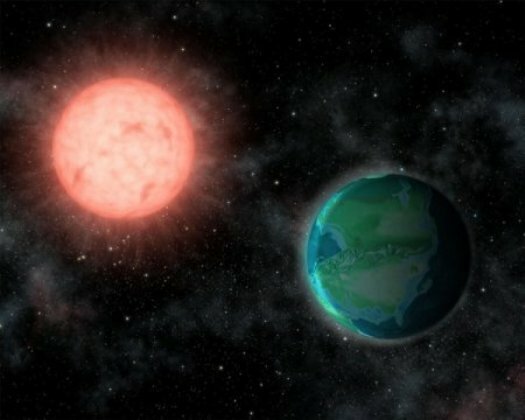 Yet it remains unclear how they form — whether they are “failed” stars or possibly even super-planets. The recent discoveries made at the Centre for Astronomy of Heidelberg University (ZAH) could provide an answer. Prof. Dr Andreas Quirrenbach and his team at the Königstuhl State Observatory of the ZAH analysed the variations in radial velocity of the star ν Ophiuchi. Using telescopes in the USA and Japan, the Heidelberg astronomers and others measured the velocity of the star for 11 years. The star has a mass slightly greater than two and half times that of the Sun, and is located approximately 150 light years from Earth in the constellation Ophiuchus. The Heidelberg team noticed a certain pattern in the measurements, similar to those caused by orbiting planets or binary stars, which is usually nothing out of the ordinary. But in this case, in-depth analysis of the data revealed something extraordinary: apparently, ν Ophiuchi is being orbited by two brown dwarfs with an orbital period of approximately 530 and 3,185 days, which puts them in a 6:1 resonant configuration. So, the brown dwarf closest to ν Ophiuchi orbits its star exactly six times while the other, more distant brown dwarf completes only one orbit. That is what the extensive dynamic analyses for possible configurations of the ν Ophiuchi system suggest, reports the researcher. This superplanetary system is the first of its kind as well as the first sure sign that brown dwarfs can form in a protoplanetary disk, Prof. Quirrenbach stresses. The researcher and his team hope for other such discoveries that may one day allow them to clarify how many of the “failed” stars are actually more massive siblings of Jupiter and Saturn. 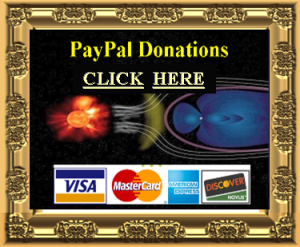 Author Mitch BattrosPosted on April 9, 2019 April 11, 2019 Categories AstronomyTags Are brown dwarfs failed stars or super-planets? Rocky, Earth-like planets orbiting our closest stars could host life, according to a new study that raises the excitement about exoplanets. When rocky, Earth-like planets were discovered orbiting in the habitable zone of some of our closest stars, excitement skyrocketed — until hopes for life were dashed by the high levels of radiation bombarding those worlds. Proxima-b, only 4.24 light years away, receives 250 times more X-ray radiation than Earth and could experience deadly levels of ultraviolet radiation on its surface. How could life survive such a bombardment? Cornell University astronomers say that life already has survived this kind of fierce radiation, and they have proof: you. Lisa Kaltenegger and Jack O’Malley-James make their case in a new paper, published in Monthly Notices of the Royal Astronomical Society. Kaltenegger is associate professor of astronomy and director of Cornell’s Carl Sagan Institute, at which O’Malley-James is a research associate. All of life on Earth today evolved from creatures that thrived during an even greater UV radiation assault than Proxima-b, and other nearby exoplanets, currently endure. The Earth of 4 billion years ago was a chaotic, irradiated, hot mess. Yet in spite of this, life somehow gained a toehold and then expanded. The same thing could be happening at this very moment on some of the nearest exoplanets, according to Kaltenegger and O’Malley-James. The researchers modeled the surface UV environments of the four exoplanets closest to Earth that are potentially habitable: Proxima-b, TRAPPIST-1e, Ross-128b and LHS-1140b. These planets orbit small red dwarf stars which, unlike our sun, flare frequently, bathing their planets in high-energy UV radiation. While it is unknown exactly what conditions prevail upon the surface of the planets orbiting these flaring stars, it is known that such flares are biologically damaging and can cause erosion in planetary atmospheres. High levels of radiation cause biological molecules like nucleic acids to mutate or even shut down. O’Malley-James and Kaltenegger modeled various atmospheric compositions, from ones similar to present-day Earth to “eroded” and “anoxic” atmospheres — those with very thin atmospheres that don’t block UV radiation well and those without the protection of ozone, respectively. The models show that as atmospheres thin and ozone levels decrease, more high-energy UV radiation reaches the ground. The researchers compared the models to Earth’s history, from nearly 4 billion years ago to today. Although the modeled planets receive higher UV radiation than that emitted by our own sun today, this is significantly lower than what Earth received 3.9 billion years ago. 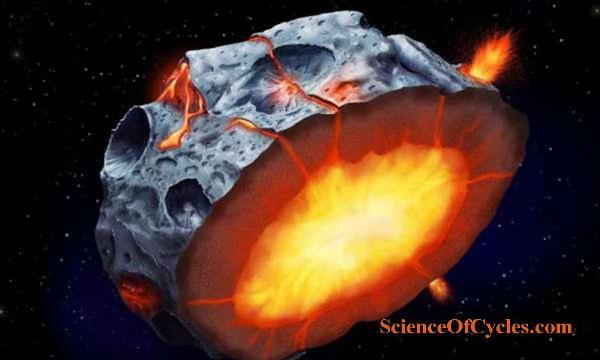 Metallic asteroids are thought to have started out as blobs of molten iron floating in space. As if that’s not strange enough, scientists now think that as the metal cooled and solidified, volcanoes spewing liquid iron could have erupted through a solid iron crust onto the surface of the asteroid. 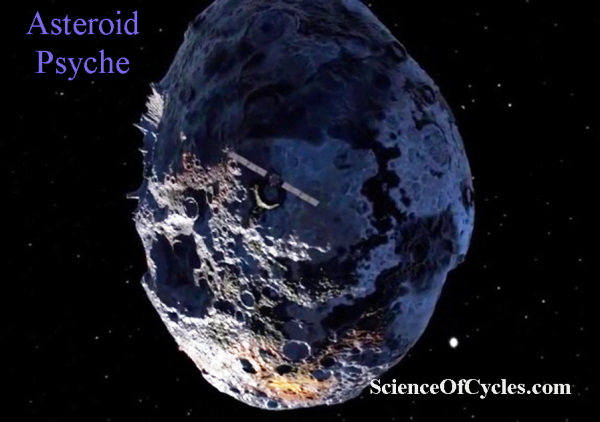 This scenario emerged from an analysis by planetary scientists at UC Santa Cruz whose investigation was prompted in part by NASA’s plans to launch a probe to Psyche, the largest metallic asteroid in the solar system. Francis Nimmo, professor of Earth and planetary sciences, said he was interested in the composition of metallic asteroids indicated by analyses of iron meteorites, so he had graduate student Jacob Abrahams work on some simple models of how the asteroids cooled and solidified. The researchers described their findings in a paper that has been accepted for publication in Geophysical Research Letters. Metallic asteroids originated early in the history of the solar system when planets were beginning to form. A protoplanet or “planetesimal” involved in a catastrophic collision could be stripped of its rocky outer layers, exposing a molten, iron-rich core. In the cold of space, this blob of liquid metal would quickly begin to cool and solidify. The discovery provides a new characteristic ‘biosignature’ to track the remains of ancient life preserved in rocks which are significantly altered over billions of years and could help identify life elsewhere in the Solar System. The research, published in two papers — one in the Journal of the Geological Society and another in Earth and Planetary Science Letters — solves the longstanding problem of how scientists can track records of life on Earth in highly metamorphosed rocks more than 3,700 million years old, with organic material often turning into the carbon-based mineral graphite. 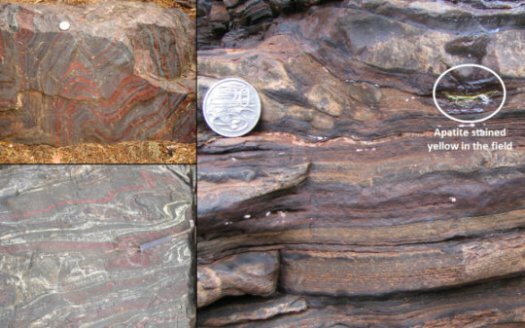 In the first study, published in Earth and Planetary Science Letters, the team analysed ten rock samples of banded iron formations (BIF) from Canada, India, China, Finland, USA and Greenland spanning over 2,000 million years of history. They argue that carbon preserved in graphite-like crystals -‘graphitic carbon’- located alongside minerals such as apatite, which our teeth and bones are made of, and carbonate, are the biosignatures of the oldest life forms on Earth. “Life on Earth is all carbon-based and over time, it decomposes into different substances, such as carbonate, apatite and oil. These become trapped in layers of sedimentary rock and eventually the oil becomes graphite during subsequent metamorphism in the crust,” explained Dr Dominic Papineau (UCL Earth Sciences, Center for Planetary Sciences and the London Centre for Nanotechnology). The team investigated the composition of BIF rocks as they are almost always of Precambrian age (4,600 million years old to 541 million years old) and record information about the oldest environments on Earth. For this, they analysed the composition of rocks ranging from 1,800 million years old to more than 3,800 million years old using a range of methods involving photons, electrons, and ions to characterise the composition of graphite and other minerals of potential biogenic origin. “Previously, it was assumed that finding apatite and graphite together in ancient rocks was a rare occurrence but this study shows that it is commonplace in BIF across a range of rock metamorphic grades,” said team member Dr Matthew Dodd (UCL Earth Sciences and the London Centre for Nanotechnology). The apatite and graphite minerals are thought to have two possible origins: mineralised products of decayed biological organic matter, which includes the breakdown of molecules in oil at high temperatures, or formation through non-biological reactions which are relevant to the chemistry of how life arose from non-living matter. By showing evidence for the widespread occurrence of graphitic carbon in apatite and carbonate in BIF along with its carbon-isotope composition, the researchers conclude that the minerals are most consistent with a biological origin from the remains of Earth’s oldest life forms. To investigate the extent to which high-temperature metamorphism causes a loss in molecular, elemental and isotope signatures from biological matter in rocks, they analysed the same minerals from a 1,850 million year old BIF rock in Michigan which had metamorphosed in 550 degree Celsius heat. In this second study, published today in Journal of the Geological Society, the team show that several biosignatures are found in the graphitic carbon and the associated apatite, carbonate and clays. They used a variety of high-tech instruments to detect traces of key molecules, elements, and carbon isotopes of graphite and combined this with several microscopy techniques to study tiny objects trapped in rocks which are invisible to the naked eye. Together, all of their observations of the composition are consistent with an origin from decayed biomass, such as that of ancient animal fossils in museums, but which has been strongly altered by high temperatures. “Our new data provide additional lines of evidence that graphite associated with apatite in BIF is most likely biological in origin. Moreover, by taking a range of observations from throughout the geological record, we resolve a long-standing controversy regarding the origin of isotopically light graphitic carbon with apatite in the oldest BIF,” said Dr Papineau. The work was kindly funded in part by NASA. Of all the forces or objects in the Universe that we cannot see – including dark energy and dark matter – none has frustrated human curiosity so much as the invisible digestive system that swallow stars like so many specks of dust. 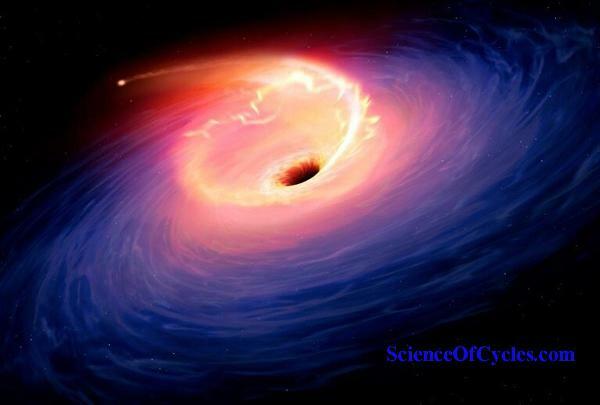 “More than 50 years ago, scientists saw that there was something very bright at the center of our galaxy,” says Paul McNamara, an astrophysicist at the European Space Agency and an expert on black holes. To put that in perspective, our Solar System takes about 230 million years to circle the center of the Milky Way. 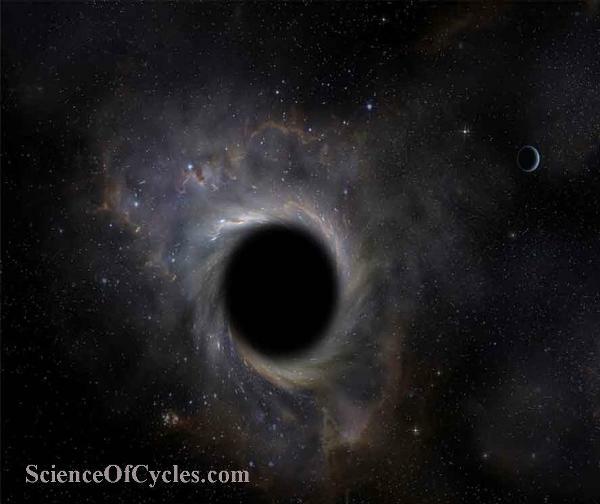 Eventually, astronomers speculated that these bright spots were in fact “black holes” – a term coined by American physicist John Archibald Wheeler in the mid-1960s – surrounded by a swirling band of white-hot gas and plasma.